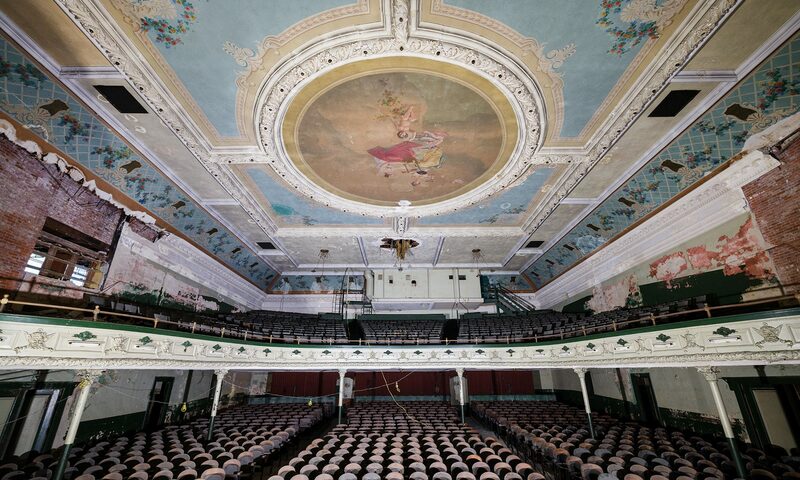 Moss and Brill’s Hamilton Theatre opened on January 23, 1913 in Manhattan’s Hamilton Heights neighborhood. 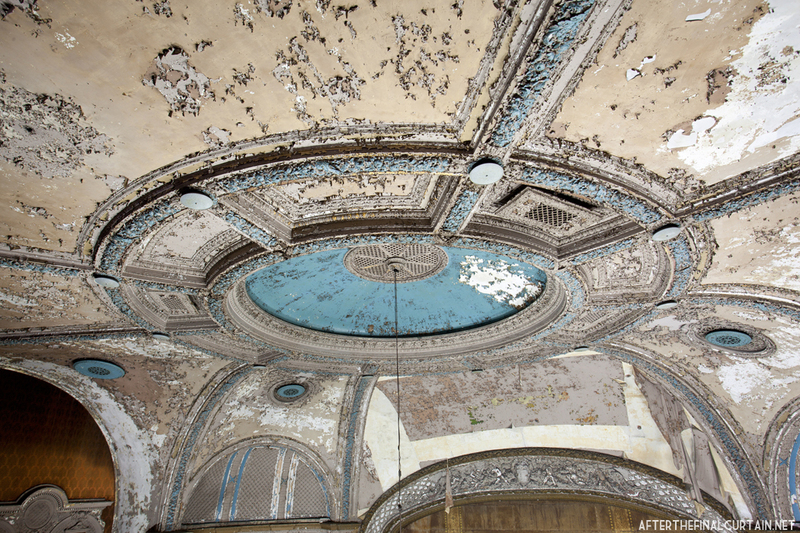 The theater was commissioned by vaudeville operator Benjamin S. Moss and theater developer Solomon Brill and designed by the prolific Thomas W. Lamb, known for the architecture of many of the Hamilton’s contemporaries. Lamb designed the Hamilton in the Renaissance Revival style, incorporating a terracotta façade. 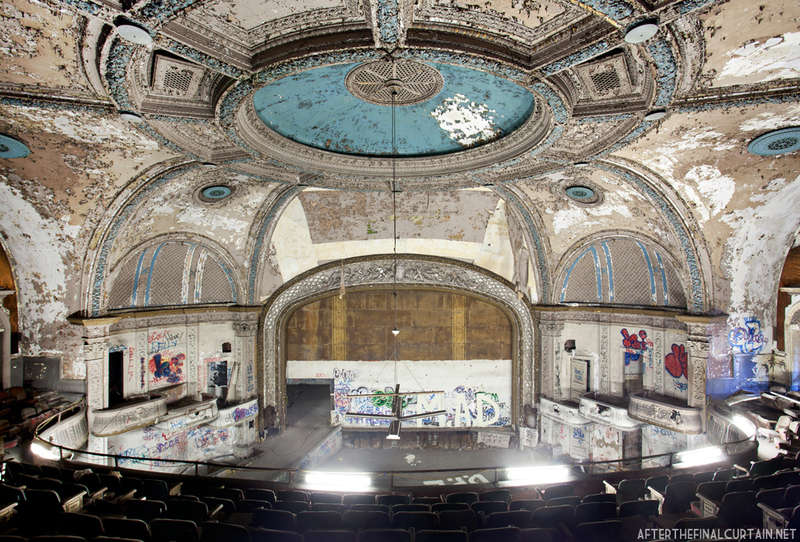 The box seats remained after the theater changed from a vaudeville house into a motion picture theater. In 1915, Brill sold his half of the Hamilton to Moss; the theater was then renamed B.S. Moss’s Hamilton Theatre. Five years later Moss combined his theater company with B.F. Keith’s — who later formed the Keith-Albee theater circuit — to form the Greater New York Vaudeville Theaters Corporation. This merger resulted in another name change for the theater, to the B.F Keith’s Hamilton Theater. With the decline of vaudeville, Moss retired and sold the theater in 1928 to the newly formed Radio-Keith-Orpheum (also known as RKO Pictures). The Hamilton was then converted to exclusively show “talking pictures,” making it one of the first in New York City. The Hamilton stopped showing films in early 1965. The same year RKO sold the building to a church, and was later sold in the mid 1990’s. The lobby was converted into a retail space and the auditorium was last used as a warehouse for a beer and liquor wholesaler. In 2000, the exterior of the theater was designated a city landmark. Unfortunately, the Landmarks Preservation Commission did not consider the interior for designation which means it could be demolished as long as the exterior is preserved. 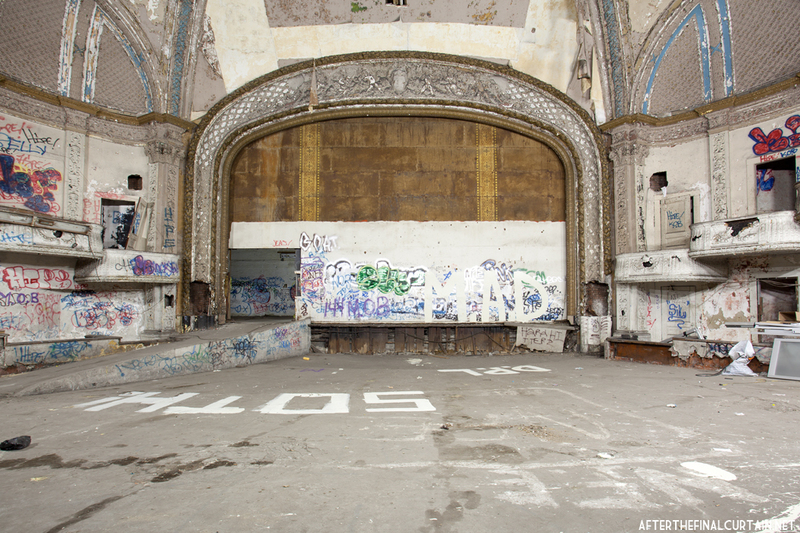 The theater is currently unused; there are no plans for re-purposing or renovation. 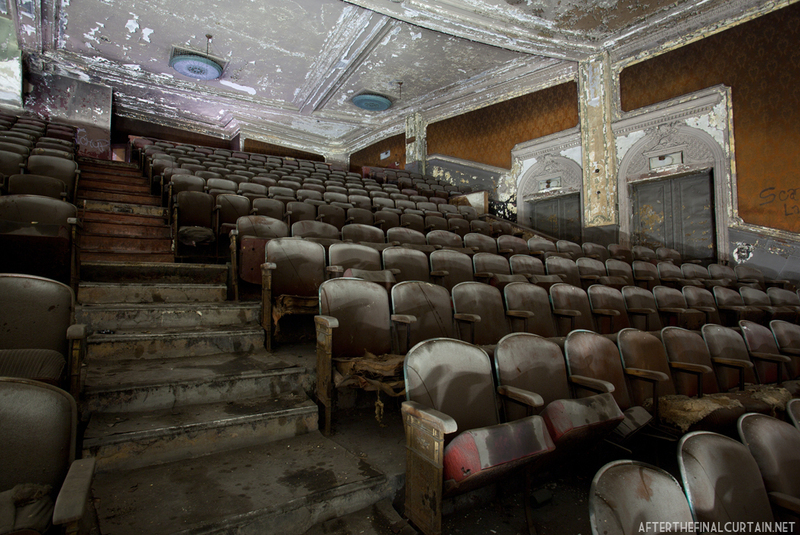 All of the seats remain in the balcony level of the theater. The walkway from the lobby to the auditorium has been sealed with cinder blocks. 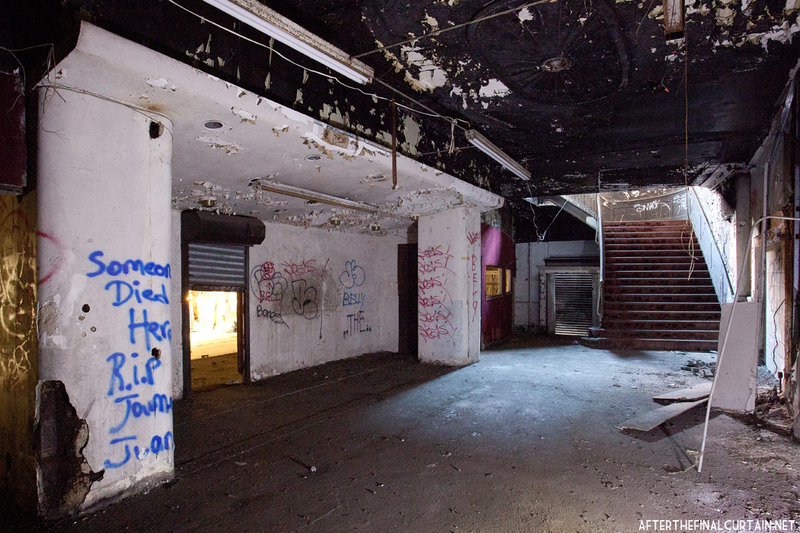 Over the years the stage area has been vandalized with graffiti. 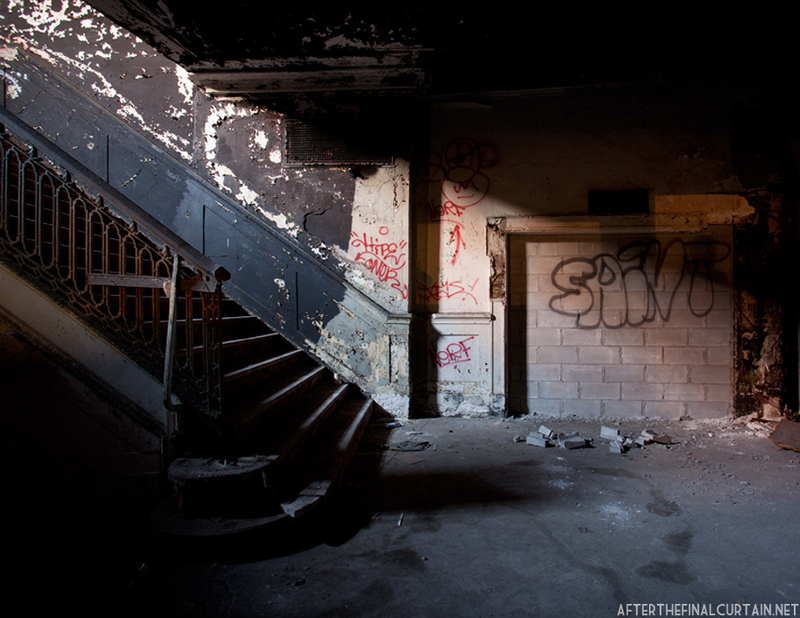 This was the snack bar area during the Hamilton’s time as a movie theater. Another view from the balcony of the RKO Hamilton. 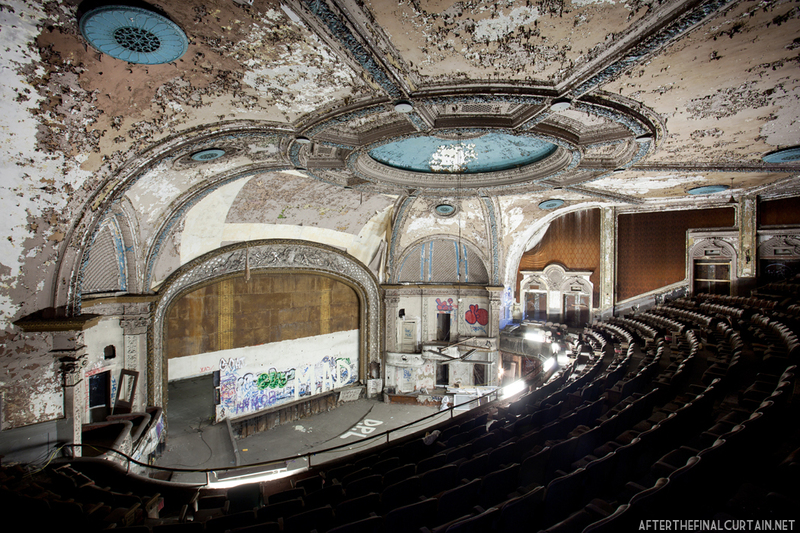 Its so sad to see this theatre go empty and decay. The amount of graffiti in the theatre is so sad. The owners have painted over the graffiti many times. Local graffiti artists continue to vandalize the area with paint used for the repairs, which was stored in the theater. Odd they’re just going to let it rot until it collapses. I thought property there was very valuable. I guess that’s not the case. It’s difficult to do anything with a theater once the lobby area has been repurposed into something else. graffiti is trash. what beautiful building. Many a Saturday my friends and I would walk from 137th street over the air grates of the IRT subway to get to the “Hamilton” for the matinee. It cost us all of 25 cents. This was during the early 50. We got one cartoon sometimes. One newsreel most times two films and “A” and “B”. I loved the place. Sorry to see the old lady looking so poorly but “Thanks For The Memories”. No way this theater stopped showing films in 1958. I saw, King vs. Godzilla, PT 109, Yesterday, Today, and Tomorrow and a bunch of other movies there. It was showing into the mid sixties at least. RKO closed the Hamilton in 1958, it must have been used as an independent movie house for a few years after. I grew up in the Hamilton Heights neighborhood as a child/teenager, namely on West 136th street, between Broadway and Riverside Drive. As a teenager many a Friday night would bring us to “The Hammy” for a movie, usually a double feature with ‘NEWS OF THE WORLD”. 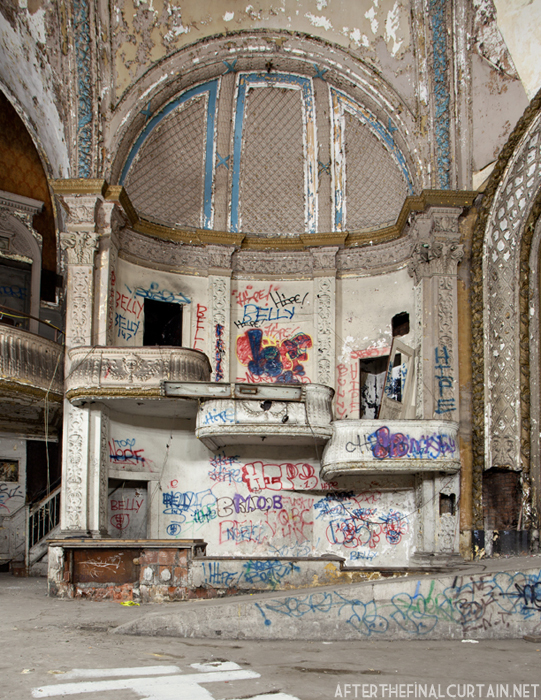 It is very disturbing to see the Hamilton Theatre in such disrepair. This architecturally wonderful structure should be refurbished to its original beauty. 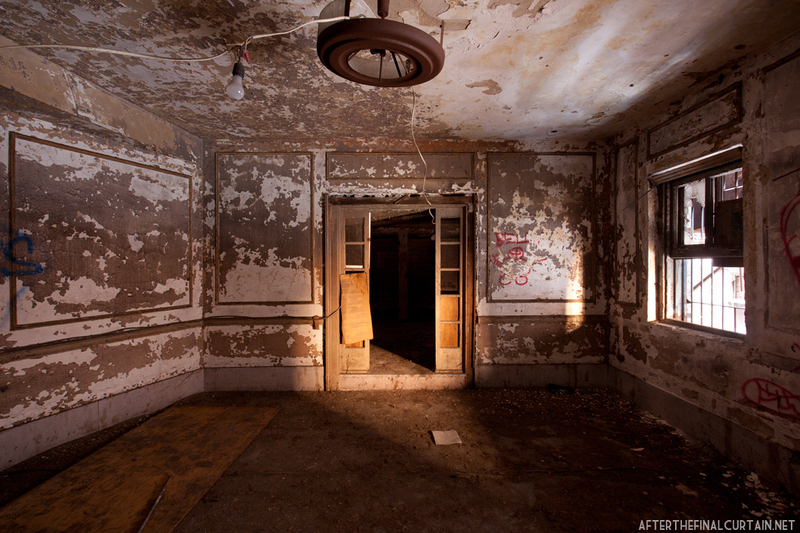 Unfortunately most of the beautiful, historical buildings are left to rot beyond repair. Let us hope that if the proposed condo community does proceed the main lobby can be preserved and refurbished to its original grandeur! Looking forward to more news on this Great Old Lady! Thanks for pointing that out Orlando. I’m well aware that Cinema Treasures is inaccurate, and that’s not where I got the info for the Hamilton. It was the Landmarks designation report for the theater.